Over the last several months, Kevin Martin’s Twitch stream has been a little sparse. At least compared to the amount of content his fans are used to seeing from him. He was feeling a little burned out and tired from playing and streaming online, so he took to the live streets. And it went well. Very well. Since the end of June, he cashed in four live tournaments. That in and of itself isn’t that impressive. But he’s won three of them. 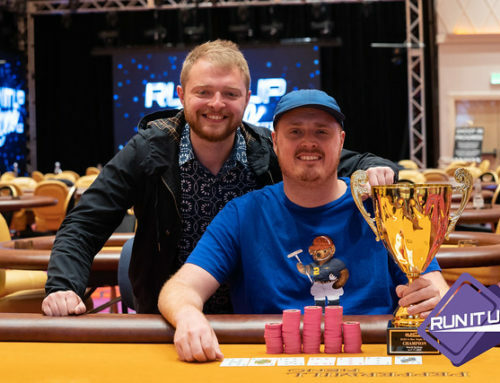 He defeated 287 entries in the C$560 Calgary Classic main event for C$37,000 last June, bested 78 entries in the C$1,100 no-limit hold’em Silver Buck Poker Tournament at Deerfoot Inn & Casino in Calgary in the middle of July for C$49,700, and took down the C$1,600 Summer Super Stack Calgary main event for C$49,700 about two weeks ago. The fourth cash of the summer. 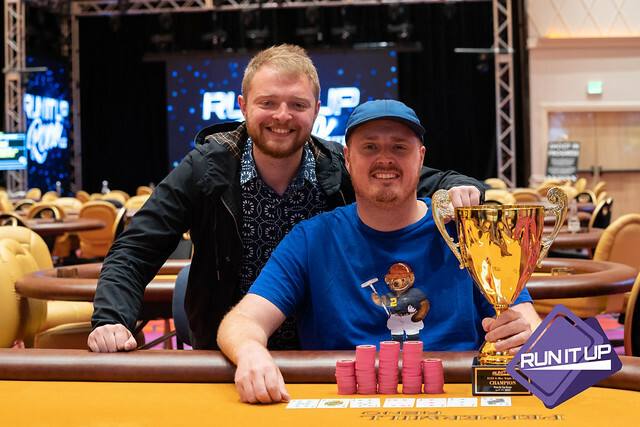 A fifth-place finish in the C$600 no-limit hold’em mega stack at the Summer Super Stack Calgary series for C$6,080, giving him earnings of C$116,780 over that time span. Martin made huge strides in his game from his early days streaming on Twitch. When he first started grinding, he took the Matt Staples approach to the poker learning curve – figure it all out on camera. He streamed all of his sessions from the beginning and the Twitch poker world watched him develop into the player he has become. Even with all of those strides, he understands how fortunate he has been. How well he has run over the last three months. My summer of live poker in Alberta. One of the huge differences between live and online play is just the numbers. They are bigger live. There aren’t $22 tournaments to grind. You’re going to have to start playing with buy-ins that would be considered high-stakes in the online world. It’s much tougher to start from scratch and ‘Run It Up,’ but Martin’s advantage comes from the fact that he put in the work, knows what he is supposed to do and does it, regardless of the money at stake. It’s a mindset that Martin doesn’t think that, in the live arena, enough players have. 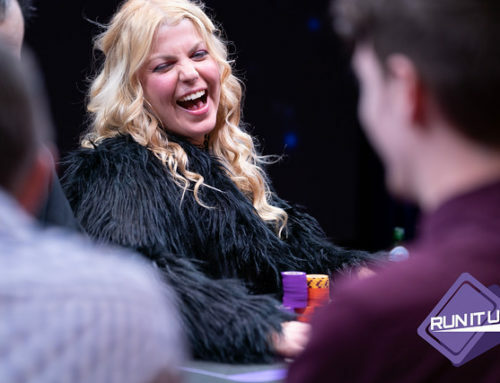 Between the lackluster mental approach of a good chunk of live players coupled with the skill advantage Martin already had, it was the perfect storm that came together, which resulted in a ton of cash and a bankroll boost. It’s not all sunshine and rainbows, however. The slower pace means less hands and more short-term variance. Variance works in both directions. Martin was on the positive end of variance this time, but he’s smart enough to know that the negative variance will rear its ugly head sooner or later. 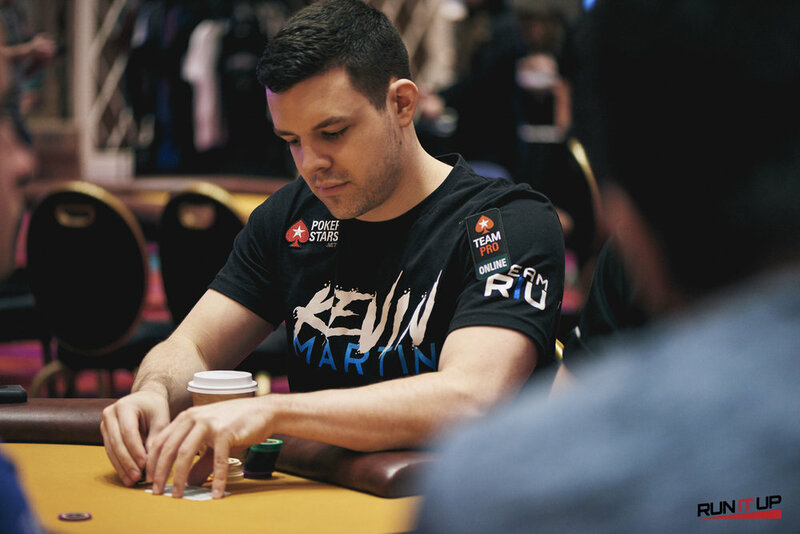 With the extra cash in his pocket, Martin is going to take shots at a few more shots at high-stakes live events. He’ll plan on playing a few more $10,000 buy-ins and is going to take a shot at the $25,000 Players Championship in the Bahamas this January. As far as the immediate future, he’s doing a bit of soul searching. Figuring out which avenue to take next. He’s not sure if he’s going to try and continue climbing the tournament ladder, take up mixed games more seriously, or try something completely different. 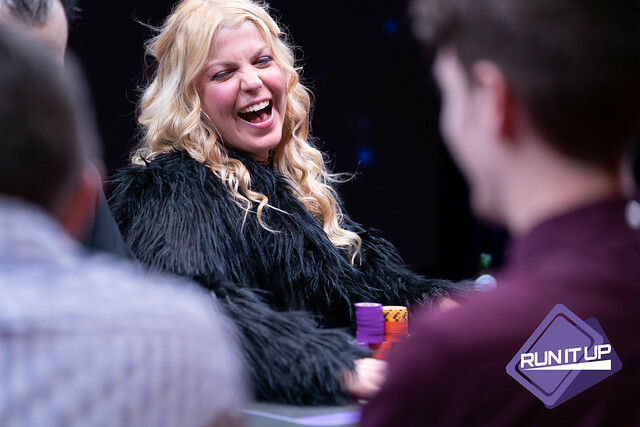 Whatever is next for him, the insane live run is just the latest chapter in Martin’s run from streaming micro-stakes on Twitch to live tournament crusher, which creates more excitement around his future streams. 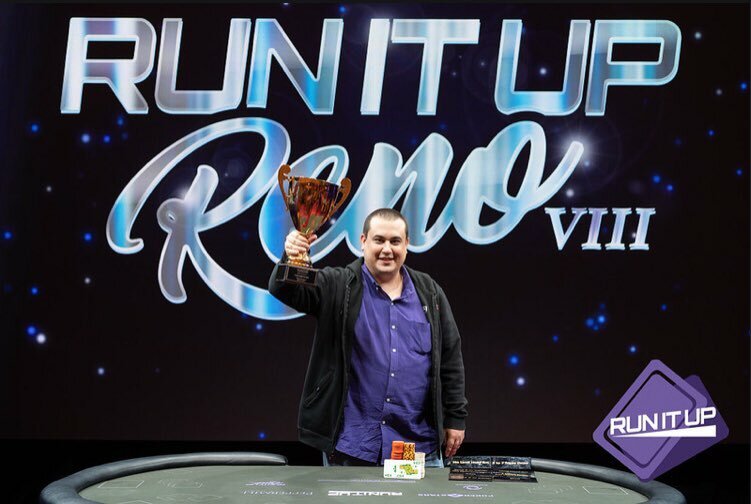 In a world where many believe poker is getting too tough and the dream of battling your way up the ranks is dead, he’s happy to be able to show what can happen if you put in the time. If you want to take part in this insane run, Martin will be taking part in Run It Up’s auction benefiting the Northern Nevada Children’s Cancer Foundation. The auction will be hosted completely online and hosted at 32auctions.com. 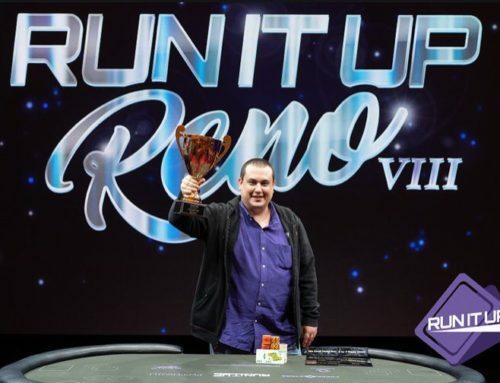 The winners will receive an entry into the upcoming Run It Up Reno partner event, partnered with one of four PokerStars pros (Jaime Staples, Jeff Gross, Chris Moneymaker or Kevin Martin) for the event, a 30-minute training/strategy session from the pro and a few other surprises.